Black chalk, with white opaque watercolor, on paper. Mary Flagler Cary Music Collection. 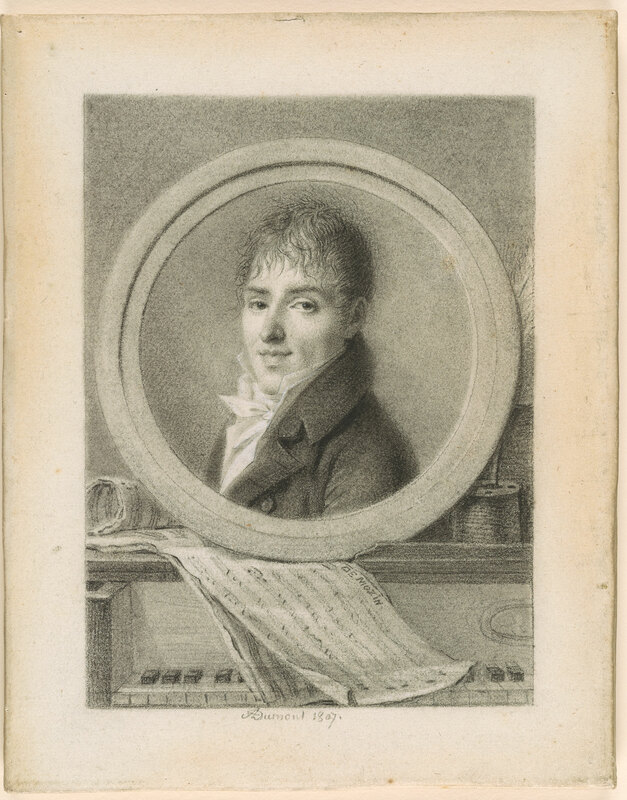 Inscribed on recto of support, in artist's hand (as title of music sheet), in black chalk, "DE MOZIN". 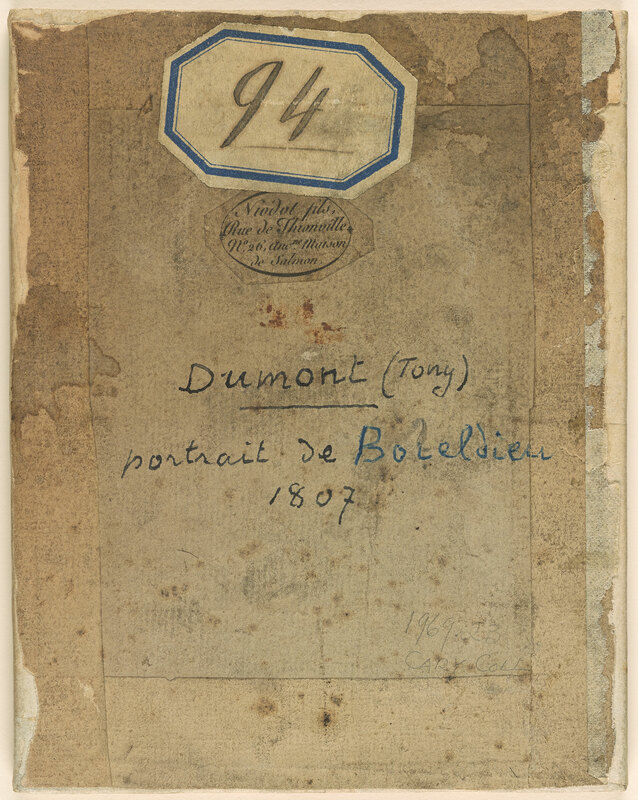 Also inscribed on recto of support, in artist's hand, directly beneath design area in center of lower margin, "T Dumont 1807".